This section provides you with the data you need to take action for yourself and others. In every city and town in our country Americans are living with danger which they cannot see and from which they are not defending themselves. From the seemingly clean and wild landscapes of Alaska to the intense populations centers of New York, Los Angeles, Chicago, and in smaller, seemingly safe towns the same dangers are present. Sign up on our Contact Page to receive new bulletins, providing locations and symptoms associated with the presence of toxic waste in your area or areas where you have previously lived. As more information becomes available you will find articles here, allowing you to understand the danger and take action. 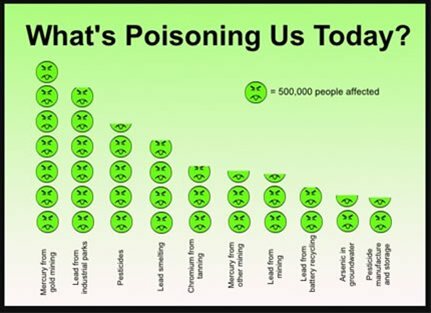 Each of the substances below is impacting people every day, unreported by government or the media.